Smaller Project 7-3, Master Bathtub » Roger Perron Inc. 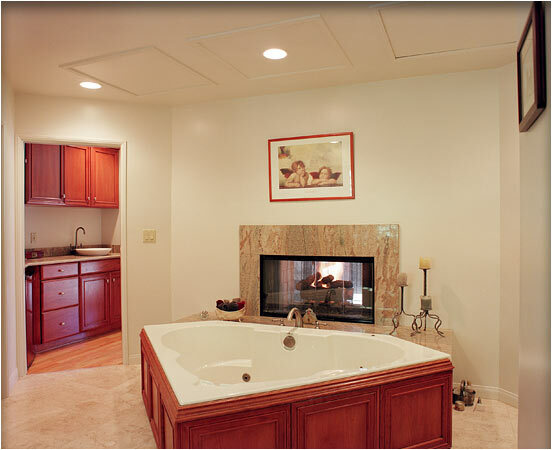 This master bathtub is a focal point for the bathroom addition, and the two-sided fireplace provides a wonderful way to soak in the tub with atmosphere. Design plan and details by Roger Perron, design-build contractor.